Exuma Bahamas and the Atlantis Bahamas are two extremely popular reasons to want to visit this tropical destination. 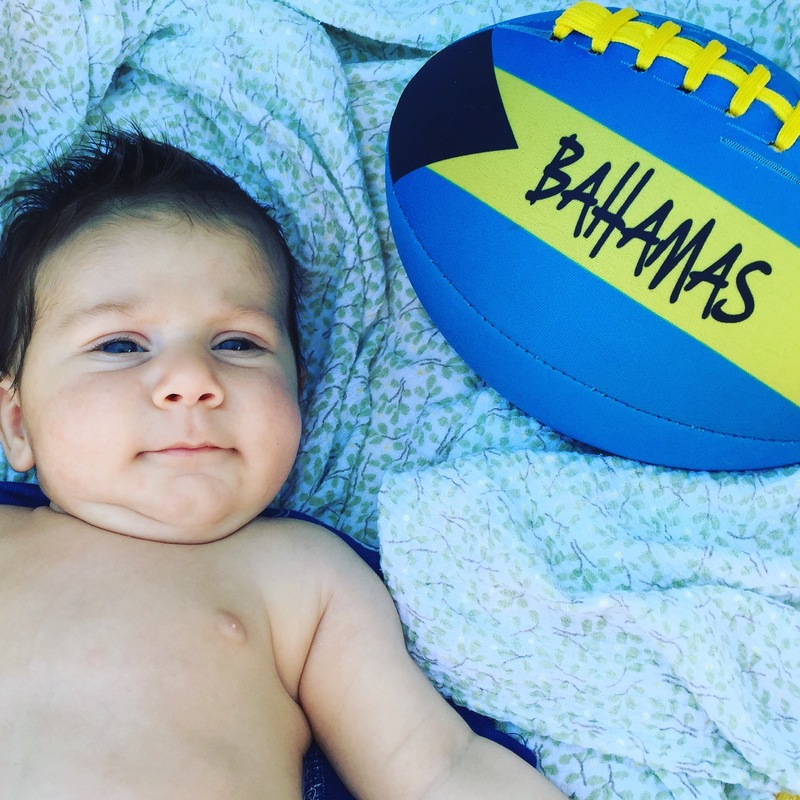 But, should you bother planning a trip with your baby? How about with your young kids? 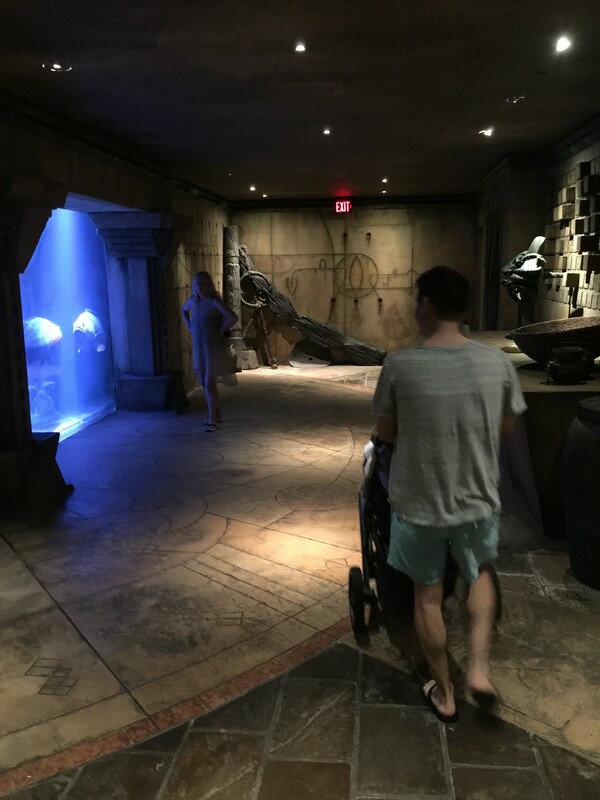 We’ve visited Atlantis as individuals, as a couple, then with a baby and with a toddler; no matter the age or stage of life you’re in, it’s an ideal vacation spot. If you’re looking for somewhere to go solo (either to take a load off or for exploration), the Bahamas is a great place. There’s so much to do here and ample opportunity to meet other travelers. If you’re looking for tons of activities and eco-adventures, we’d likely recommend somewhere more like Costa Rica. 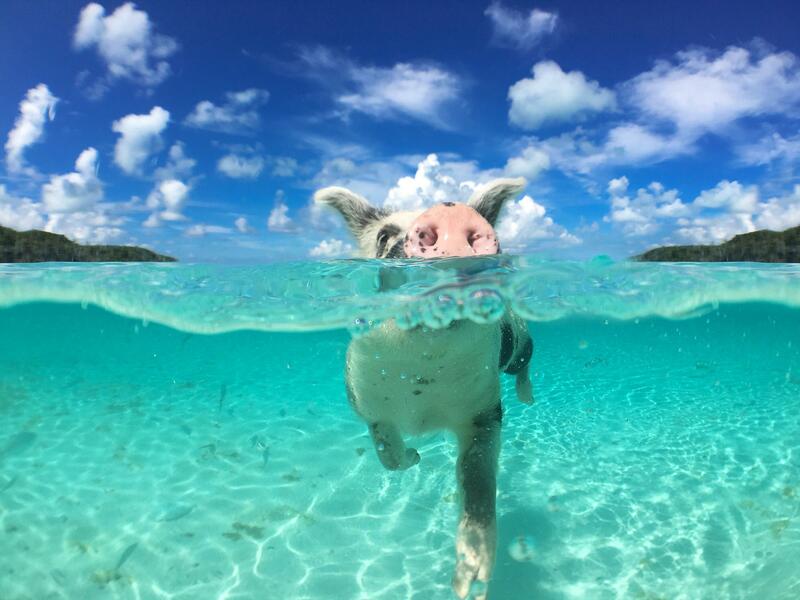 But, if you’re looking for sun, beautiful water and good food, Bahamas is a good choice. Obviously, there are great places for date nights and dinner and the Cove (at Atlantis) is an adults only area so you can sneak in some private time in between the water park and dolphin swim. They’ve got casino games and cocktails poolside as well as music, food and drinks. 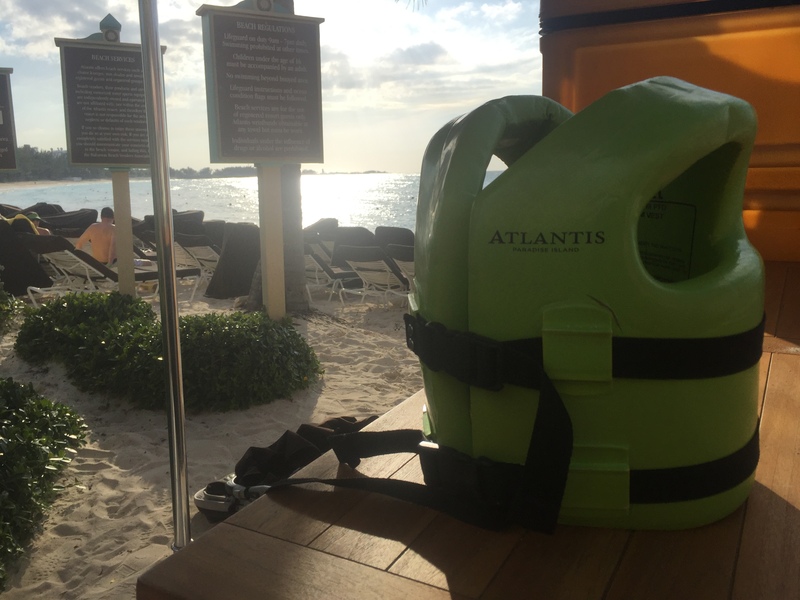 We took our eight-week old baby to Atlantis. 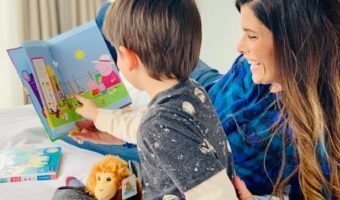 While you’re not going to experience the resort the same way you would without kids, it’s still a great place to relax, reconnect with your spouse and unwind. Our baby fell asleep poolside and enjoyed strolls around the spacious grounds. We’d recommend checking the weather to make sure the daytime temperatures aren’t too hot for your wee one. It’s a stroller friendly island and the underground aquariums are a cool reprieve for babies. Because of the island vibes, you immediately feel more relaxed. There’s plenty of room to spread out and find your own quiet corner too so don’t worry about breastfeeding in public. The water (for bottles) is some of the safer choices when looking at tropical vacations as well although we still advise you to use bottled or boiled water at all times for babies! The only thing we’d caution against is the cost of daily living. When you’re on the island, items like diapers, baby formula, milk, bottled water…it’s all VERY expensive. Rick jogged to the local grocery store to replenish our grocery supplies and it always cost us a lot. So this is something you’ll want to factor into your travel budget. If you’re prepared for it, it’s not bad. It’s when the extra fees catch you off guard. Try to bring as much as you can in terms of baby supplies so you’re not paying a premium here. It’s a no brainer that beaches, sand, water slides and pools will attract families with toddlers. There’s so much for kids to do in the Bahamas that it’s a very popular place for family vacations. Our two year old loved it. 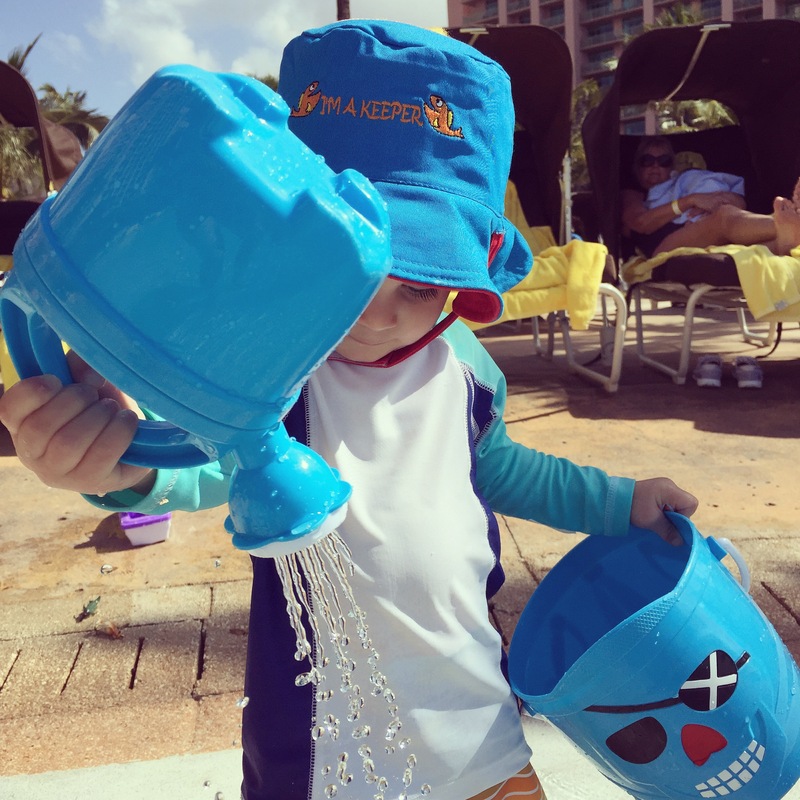 Restaurants offer decent kid menus/options, there are cute sand buckets/toys for purchase on property and there’s so much to do for young kids (swimming with dolphins, the aquarium, water park, small water slides). 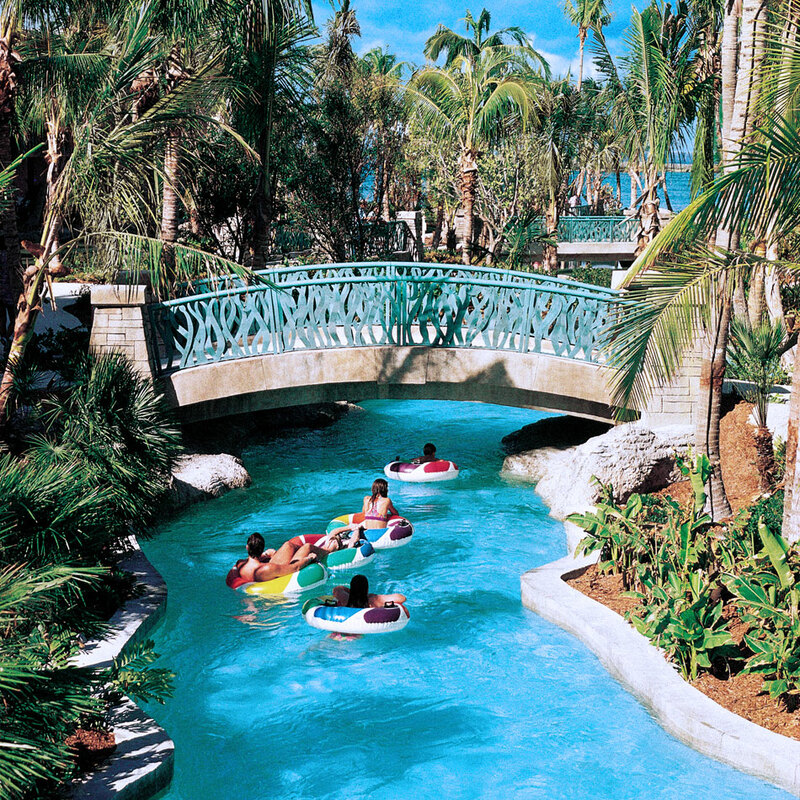 Caution: we wouldn’t recommend taking young children on the “lazy river” on the Atlantis property. It’s actually not lazy at all and we’ve seen a lot of people get pushed into the wall and then flip off. We tried it out a few times and wouldn’t let a young child come on with us. Obviously, it’s to your own discretion but our tip would be to save it for later or until your child is a strong swimmer (the water is relatively deep when you fall off the tube and the waves are quite powerful). The ocean current near Atlantis was also quite strong when we were there (in front of the main resort). We’d recommend moving further down the beach (passed the Cove area) for a quieter more calm experience for young children. But, as always, check with the lifeguards, flags and any news updates to make sure it’s ok for toddlers. There are life jackets on property for your use (just be aware that they’re a bit clunky for small kids). As always, please send us any direct questions. As we’ve said, we’ve visited the popular island many times and know a lot of great tips for travel with tots. Unexpected Weather Setback or Success? !